Dentist Sandy Springs: How much do Dental Sealants cost? About 90% of the decay found in children’s teeth occurs in tooth surfaces with pits and fissures. To solve this problem, dental sealants were developed to act as a physical barrier so that cavity-causing bacteria cannot invade the pits and fissures on the chewing surfaces of back (posterior) teeth. A sealant is a plastic resin material that is usually applied to the chewing surfaces of the back teeth. This material is bonded into the depressions and grooves (pits and fissures) of the chewing surfaces and acts as a barrier, protecting enamel from attack by plaque and/or acids. The dentist, hygienist or assistant cleans and dries the teeth to be treated, then paints a thin layer of liquid plastic material on the pits and fissures of the tooth. A blue spectrum natural light is shone on the material for a few seconds to cure the plastic. Some brands of sealants cure chemically. Children should receive sealants shortly after the eruption of their first permanent molars, around age 6 and again at age 12 when their second molars appear. While the use in children is more prevalent, sealants can be utilized in treating adults as well. The average cost of a sealant ranges from $42 to $48 dollars per tooth. During your child’s regular dental visits, we will check the condition of the sealants and reapply them if necessary. As a final note, the procedure is absolutely painless. I know a lot of people still cringe when we talk about dental procedures. If we can be of service or you have additional questions, do not hesitate to contact us via email or for a complimentary initial consult. Dentist East Cobb: How Much Does a Root Canal Cost? The cost of having a root canal done depends upon where you live, the type of dentist and whether or not you have dental insurance. The procedure is usually done by a specialist known as an endodontist, but can be performed in a general dentist’s office. The procedure can range anywhere from $900 to 1500.00 depending on the tooth location and the number of root canals involved. The diagnosis will require an initial x-ray, which can be performed by your general dentist and forwarded to the endodontist’s office. Sometimes there are issues that arise where the endodontist wants to charge for an initial consultation. This may or may not be necessary depending on the relationship the endodontist has with your referring general practitioner. If you have insurance it will usually cover about half to eighty percent of the cost. One of the added costs to a root canal that should be taken into account is either an amalgam (or composite) or crown restoration of the tooth by your general dentist upon completion of the procedure. Prices don’t always reflect the quality of your treatment. Having a sense of trust in our general dentist will usually result in the referral to our in-house endodontic staff that’s also worth trusting. If we can be of service or you have further questions please don’t hesitate to contact us by phone or by email. We are a stone’s throw from East Cobb, Vinings and downtown Marietta. 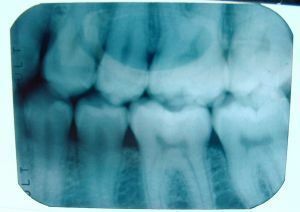 Depending on the size and location of the crack, treatment may vary from bonding to root canal treatment. 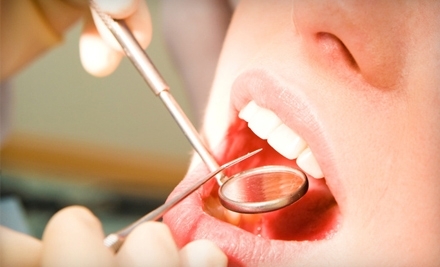 A severely cracked tooth may need extraction. We will determine the best treatment for you. Tiny cracks are common and usually do not cause problems. Regular dental checkups are important. They allow us to diagnose and treat problems in the early stage. If you continue to have pain, avoid chewing on that side of your mouth and call our Atlanta, GA dental office, that’s what we are here for. Apply cold compresses to control swelling. Call us and/or go to a hospital emergency department immediately. Hold the tooth by the crown and rinse off the root of the tooth in water if it’s dirty. Do not scrub it or remove any attached tissue fragments. If possible, gently insert and hold the tooth in its socket. If that isn’t possible, put the tooth in a cup of milk and call us as quickly as possible. Remember to bring the tooth with you! Rinse your mouth with warm water to clean it out. Gently use dental floss or an interdental cleaner to ensure that there is no food or other debris caught between the teeth. Never put aspirin or any other painkiller against the gums near the aching tooth because it may burn the gum tissue. If the pain persists, contact us. Schedule dental visits for you and your family today by calling The Right Smile Center in Sandy Springs at 404-256-3620. Our dental office is conveniently located on Carpenter Drive in Sandy Springs, and we serve patients from Atlanta, Sandy Springs, Roswell, Alpharetta, Johns Creek, Buckhead, Dunwoody, East Cobb and surrounding communities. We welcome new patients and will be happy to answer all of your questions over the phone or in person. Our dentists and team look forward to making you, and your loved ones, smile! That’s why the Right Smile Centers offers state-of-the-art preventive dentistry, so you can keep your natural smile for years to come. 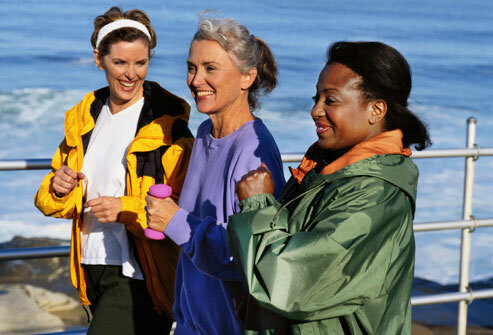 Preventive care isn’t just about what we can do for you. We emphasize our partnership in your oral healthcare. So, it’s also about what you can do to help yourself! If we can be of service, please do not hesitate to contact our office. We offer complimentary consultations all our patients, new and old. We serve Metro Atlanta, including Sandy Springs East Cobb, Buckhead, Roswell, Alpharetta, Johns Creek, Dunwoody, Vinings, Acworh, Woodstock and Smyrna.